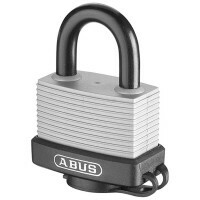 Abus 41/50 Laminated Padlock Long Shackle 125mm Features Overall width: 53mm. Overa..
Abus 70IB/50 Aquasafe Padlock 59mm Features Overall width: 59mm. Overall height: 80..
Abus 70IB/45 Aquasafe Padlock Long Shackle 63mm Features Overall width 53mm. Overal..
Abus 41/50 Laminated Padlock Long Shackle 50mm Features Overall width: 53mm. 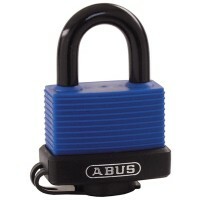 Overal..
Abus 70IB/45 Aquasafe Padlock 73mm Features Overall width 53mm. 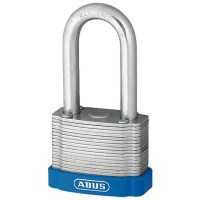 Overall height 73mm..
Abus 41/45 Laminated Padlock 49mm Features Overall width: 49mm. Overall height: 67m..
Abus 70IB/45 Aquasafe Padlock 73mm Keyed Alike Features Overall width 53mm. 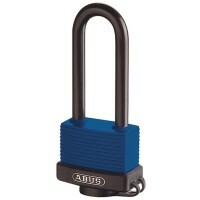 Overall..
Abus 41/40 Laminated Padlock Long Shackle 44mm Keyed Alike Features Overall width: 44mm. 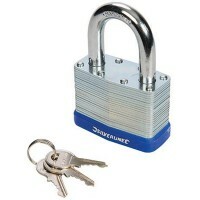 ..
Silverline 590587 Laminated Padlock Features Size 64mm. 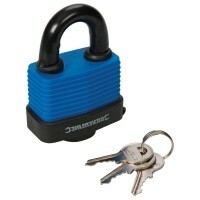 Laminated steel body with p..
Silverline 598493 Weather Resistant Padlock Features Size 50mm. Solid brass mechani..
Abus 41/30 Laminated Padlock 35mm Features Laminated steel padlock individually galvanise..
Abus 41/50 Laminated Padlock 53mm Keyed Alike Features Overall width: 53mm. 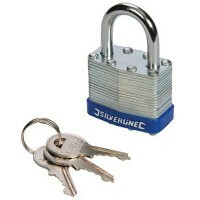 Overall..
Silverline 704400 Laminated Padlock Features Size 50mm. Laminated steel body with p..
Abus 70/45 Expedition Padlock Features Overall width 53mm. Overall height 73mm. 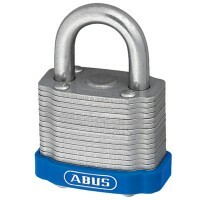 ..
Abus 41/30 Laminated Padlock 35mm Keyed Alike Features Laminated steel padlock individual..